Following a 360° Panoramic Convertible Mercedes Sprinter Tour of Historic Savannah, embark on the Savannah Riverboat for a 90 minute sightseeing cruise down the Savannah River. 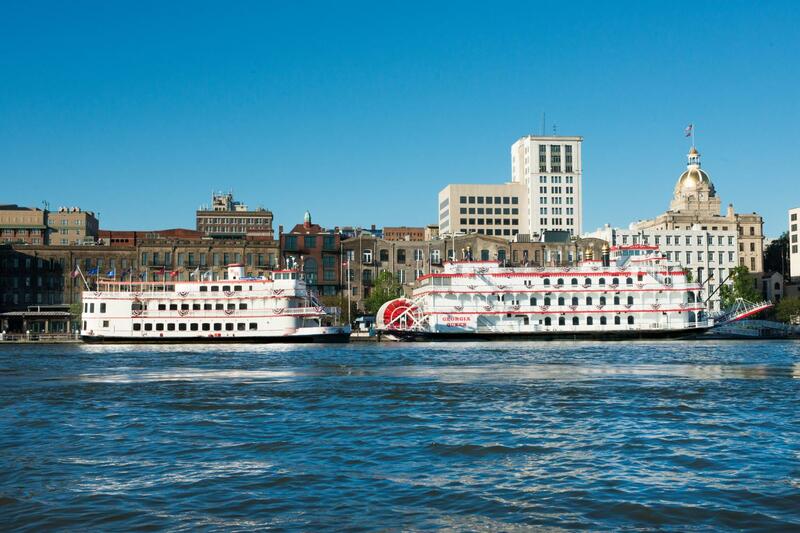 During the 90 minute cruise experience the river that was – and remains – the lifeblood of Savannah! Hear the Captain’s intriguing tales and historic facts about Savannah’s modern port and the ships that visit from all over the world. Take advantage of the great photo opportunities of Savannah’s historic riverfront and skyline. Snacks and beverages are available on board at the Riverboat Snack Shop. 90 Minute Fully narrated uninterrupted History Tour aboard Kelly Tours Gray Line's Convertible Mercedes Sprinter followed by a 90 Minute cruise on the Savannah Riverboat. Complimentary pick up only at Historic District Hotels and Savannah Visitor Center. See Riverboat Departure Schedule for pick location and time. Riverboat Cruise does not have to be taken the same day as your trolley tour. The Crab Shack, Tybee Island, and The Dolphin Tour were a whilrwind of excitement that lived up to my expectations. I loved the boat ride--in shall I say roller coaster ride with dolphins--narrated with several upbeat musical hits. The Captain(s) are pretty hip as well. Considering the length of both tours, we find the price is very reasonable. A generous tip is worth it. We were not pleased to see other customers NOT giving anything. See above. Excellent Sea Y Land Tour ! 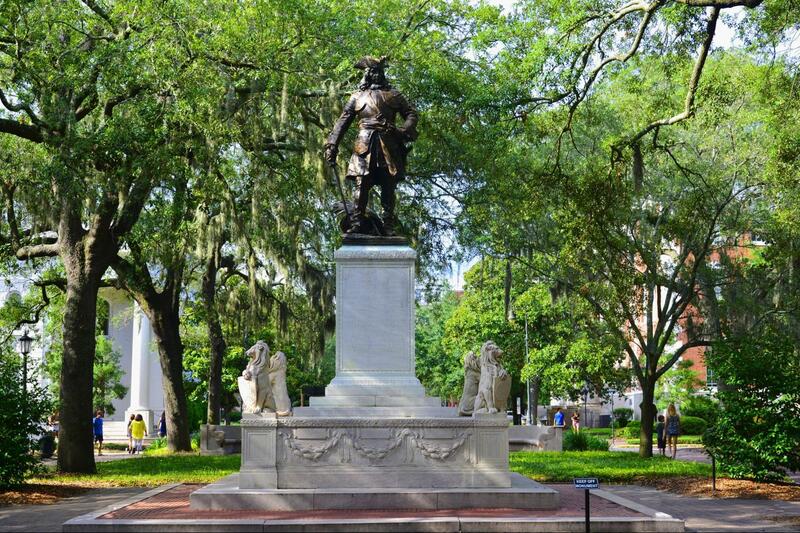 Give Us 90 Minutes and we will show you over 275 Years of Savannah's History. Aboard Kelly Tours state of the art 360° Panoramic Convertible Mercedes Sprinter to see the sights of beautiful Historic Savannah. 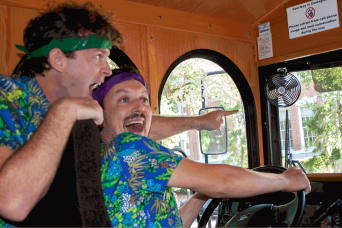 you will enjoy a fully narrated sightseeing 90 minute tour of one of the largest National Urban Historic Landmark Districts in the United States. 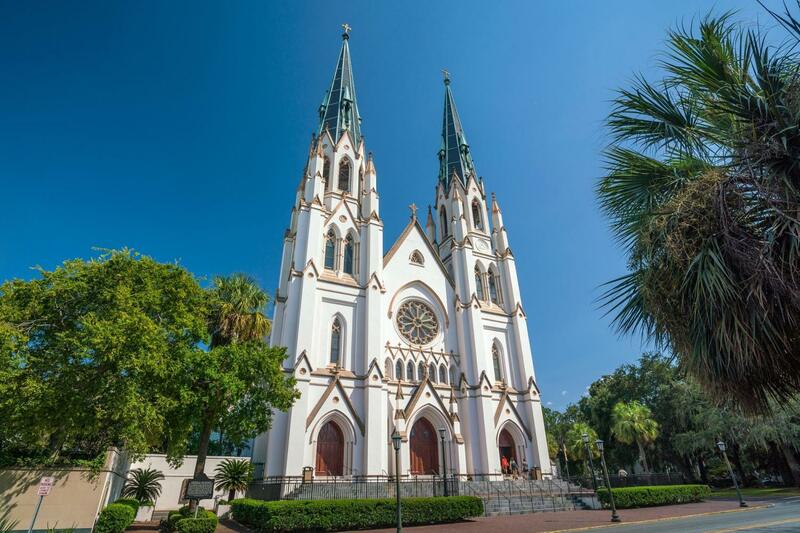 As you travel through the Historic & Victorian Districts of Savannah, you will ride down cobblestone paved streets, around beautiful historic squares beneath moss-draped oaks lined with stately mansions and historic churches and along the famous River Street Riverfront. 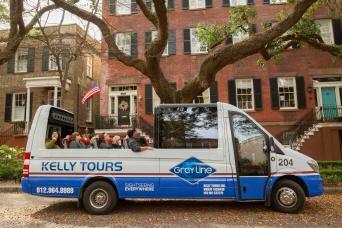 Sit back and enjoy the sites and stories of Savannah's past and present without any interruptions aboard Kelly Tours Gray Line's state of the art 360° Panoramic Convertible Mercedes Sprinter . Savannah is a story and we want you to experience this from beginning to end and become familiar with one of the South's most charming and historic cities. During your 90 minute Riverboat Cruise you will experience the river that was and still remains an important part of Savannah! Hear the Captain’s intriguing tales and historic facts about Savannah's modern port and the ships that come to visit from all over the world. You will make your way down the Savannah River to Old Fort Jackson, home of one of the largest and oldest original artillery pieces in the country! Take advantage of the great photo opportunities of Savannah’s historic riverfront and skyline. Snacks and beverages are available on board the riverboat at the Riverboat Snack Shop. History Tour departs from both the Savannah Visitors Center at 301 Martin Luther King Blvd, Historic District and Airport Hotels. 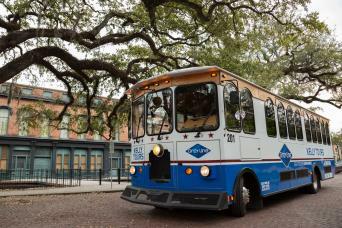 Kelly Tours - Gray Line Savannah offers two morning departure times: 9:00 am and 10:00 a.m. and two afternoon departures 11:30 am and 12:30 pm for the Sprinter History Tour (land portion). Tours depart on time and the time on your voucher and is the full length of your tour (90 Minutes) for both the Sprinter History Tour and Riverboat Cruise. Please refer to the Savannah Riverboat Schedule attached for departure times and location. Riverboat Cruise does not have to be taken on the same day as your Sprinter History Tour.